As investors, one of the first things we learn is that when news comes out with regard to a publicly traded company, we can expect to see movement in the value of the stock associated with that company. If the news, is positive, the movement in the market will be as well. Adversely, negative news will cause declines in the value of the stock associated with the news. Considering the fact that RXII was recently issued a patent, we’re looking at overwhelmingly positive news. As a result, we’re seeing a positive reaction in the market. 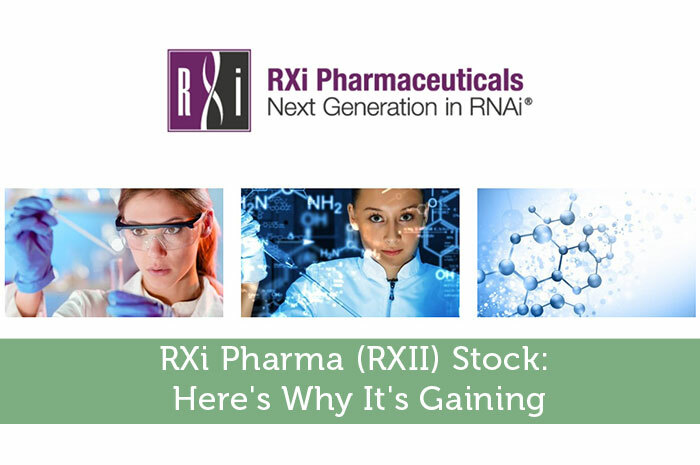 Yesterday, when the news was announced, RXII climbed in a big way. Today, we’re seeing a continuation on the gains. Currently (11:37), RXII is trading at $0.28 per share after a gain of $0.02 per share or 6.70% thus far today. Moving forward, I’m expecting to see incredibly positive movement out of RXII. The reality is that the company has made incredible advancements when it comes to improving dermal scarring, and as their innovation in the area continues, we can expect to see strong sales from their future products. Considering that the stock is trading at an incredibly low value at the moment, even a light improvement in the value of the stock can lead to incredible gains. All in all, I’m overwhelmingly impressed with what I’m seeing and expect to see long term gains from the company. Where do you think RXII is headed moving forward? Let us know your opinion in the comments below!